The most expensive scooter in India. 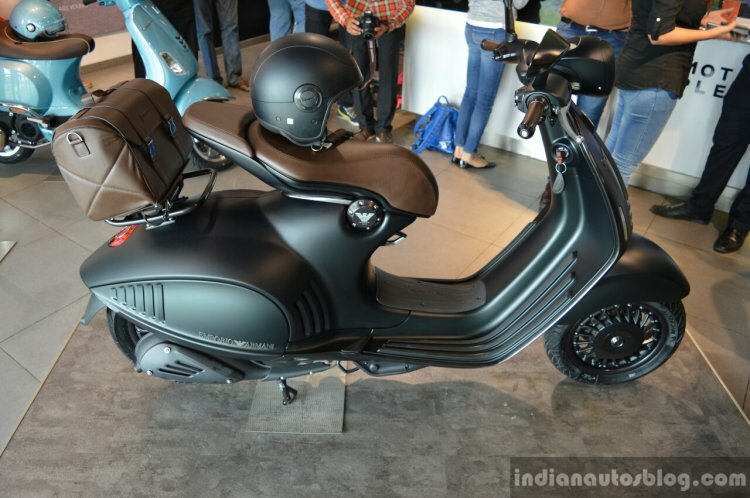 Piaggio has announced the launch of what is the 'most expensive scooter in India' - the Vespa 946 Emporio Armani. Unlike Vespa's other products, the 946 Emporio Armani is a CBU and is priced at INR 12,04,970 (ex-showroom Pune). The 946 Emporio Armani is a CBU import and priced at INR 12,04,970 (ex-showroom Pune). The 946 made its local debut at the Auto Expo 2016 last February. Based on the Vespa 946, the Emporio Armani edition was developed jointly by Giorgio Armani and Piaggio to mark the 40th anniversary of the Giorgio Armani foundation and the 130th birthday of the Piaggio Group. The Emporio Armani edition features the designer brand's signature gloomy color palette with a combination of grey shades and subtle hints of green that is visible only under particular lighting. The metallic parts are treated to convey a matte effect to match the body panels. The Emporio Armani edition features the designer brand's signature gloomy color palette with a combination of grey shades and subtle hints of green. 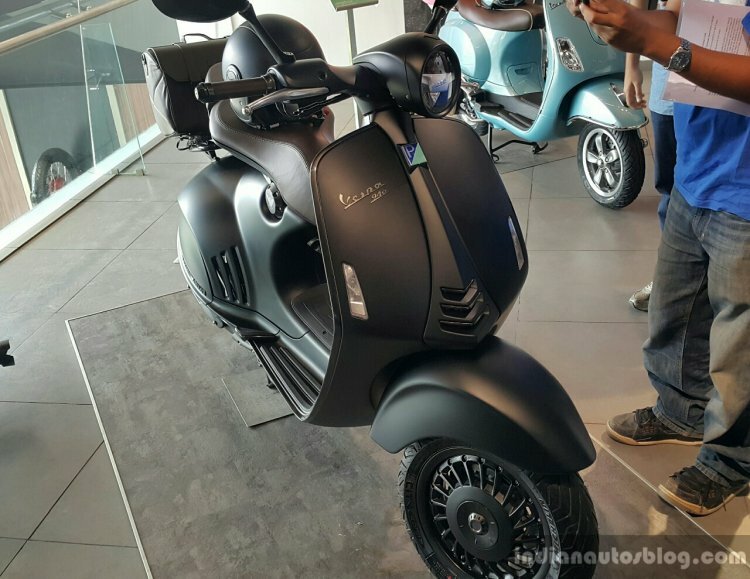 Powering the Emporio Armani edition is a 125 cc forced-air cooled single-cylinder port-injected engine which develops 11.42 PS of power and is mated to a CVT. It has a 220 mm disc brake at the front and rear, 120/70-12 spec front tyre, 130/70-12 spec rear tyre and a fuel tank that can hold 8.5 litre.